The most recent wave of public attention towards DeMott’s actions began with former NXT wrestler Austin Matelson, who was a part of the company in 2013 under the ring name Judas Devlin. Speaking on Vendetta Pro Radio about a letter he filed with WWE higher-ups in 2013, Matelson accused DeMott of endangering NXT talent physically and mentally, including one incident where the trainer kicked a Mexican wrestler in the groin while making fun of his accent. DeMott also reportedly enjoyed telling a black wrestler to “go back to Africa” and, in a separate incident brought to light by female wrestler Terra Callaway, he also called a wrestler of Middle Eastern descent a “terrorist” at a wrestling seminar. It appears that the culture of fear and retaliation that haunts NXT can be traced back to its head trainer. After all, he fostered an atmosphere under his rule where, for example, a strength and conditioning coach could photograph female talent’s bodies and post them on his personal Facebook, with no consequences. That’s according to an anonymous female wrestler who posted an account of her time at NXT on Reddit’s Squared Circle wrestling forum, which also included the story of how an unnamed female executive (believed to be Jane Geddes) was transitioned and then fired for speaking up for the young women on the roster. The fact that this is all happening in NXT is especially disappointing; for a variety of reasons, the developmental branch had been seen as the ideal of what WWE could be. Between engaging storylines, a stronger focus on actual wrestling acumen, and, especially, the (relatively) equal treatment of its female wrestlers on-screen, NXT has been lauded by critics and fans alike for revolutionizing how WWE does business. That’s not to say that everyone thought NXT was perfect; any fan of the brand knew that the talent on their WWE Network streams was, at best, slightly underpaid and, at worst, barely scraping by. Just for reference, rookie contracts at NXT can start at $25,000 plus accommodations, barely a livable wage for talent that has to cover most of their own costs as independent contractors. Even with that, wrestlers have flocked to be a part of it, and by extension, the world-famous Performance Center, where wrestlers train and hone their craft, all because of their passion for the industry. I lost everything for speaking up. I was the first. The warning to others. That one man has ruined that passion in what is clearly more than just a handful of promising talent that could have contributed positively to the business of professional wrestling is a travesty. It’s fair to say that forcing DeMott out was a breakthrough for anyone who believes that the workplace, no matter the industry, should not be a battlefield. That DeMott was a horrible choice to be in charge of the molding and teaching of young wrestlers should have been evident from his pre-WWE history. Side-stepping his actual wrestling career (the man performed under the name General Hugh G. Rection, after all), DeMott worked as a trainer for a variety of organizations before NXT, including WWE’s own Deep South Wrestling developmental territory. The horror stories of DeMott stiffing talent in the ring (which means hitting them for real, not in the practiced ways consistent with normal pro wrestling) and abusing them outside of it are not new. WWE knew of them, and even fired DeMott from DSW, something that for some reason didn’t stick, as he kept coming in anyway (this according to former WWE star Simon Dean, who also called DeMott a “bully”). This in addition to a disturbing account by former Deep South wrestler Kevin Matthews, who alleges that DeMott forced talent to train naked and perform the Stinkface on each other. What’s a Stinkface? This (NSFW) photo of the incident does a good job of explaining. That the company then deemed him worthy enough to lead Florida Championship Wrestling (the precursor to NXT) back in 2012 would be shocking, if it wasn’t so aligned with WWE’s history. And that is what is most depressing about this situation, more than the fall of NXT’s perfect ideal, or even DeMott himself. He is but one man and he, as was shown this week, can be removed from his power. What remains an issue is that WWE has fostered a culture where talent is afraid to speak out in their own defense, for fear of losing the road to their lifelong dream. 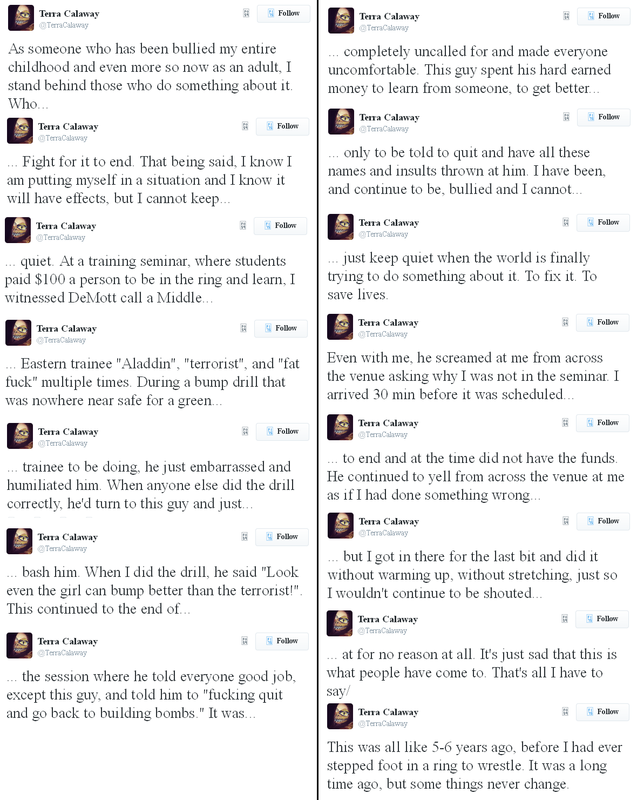 Let’s be clear: this is not to accuse WWE of encouraging what DeMott did in his time as head trainer of NXT. Rather, it is admonishing the company for not acting sooner to allegations of abuse. Despite claims that they had previously conducted a “full investigation” of DeMott, it is clear that they were just hoping these latest allegations would blow over without too much attention. Former NXT wrestler Ryan Nemeth, who coincidentally is the brother of current WWE superstar Dolph Ziggler (real name: Nicky Nemeth), tweeted on March 3rd that the WWE never spoke to him during their alleged investigation of Matelson’s letter, which included claims that Nemeth was kicked by DeMott in the leg, while that was in a walking boot because of a fracture. Nemeth had previously tweeted about the culture of sexual harassment that DeMott allowed to happen under his watch. This is a company that only acts in the benefit of its talent when the microscope is on them. The company also made no move to even suspend DeMott (with pay, of course) when the recent allegations occurred; they were more than content to let this play out. Eventually it played out in their favor, with DeMott “voluntarily” quitting. This is a company that preaches anti-bullying with their B.A. Star campaign, yet when confronted with bullying within their own organization, the best they can do is accept DeMott’s resignation and move on. Where it should have made a stance by suspending and, upon the results of a real investigation, firing DeMott, WWE chose to B.A. Hypocrite instead. That’s not exactly a new strategy for WWE. This is a company that only acts in the benefit of its talent when the microscope is on them. From the steroid crisis of the early 90s, to the concussion concerns of today, Vince McMahon (chairman and CEO of WWE) has only mobilized resources for the well-being of wrestlers when put up against the wall, and not even then sometimes. You may recall last year’s pipebomb CM Punk podcast interview accusing the company of medical malpractice; what you may not know is that McMahon only doubled down, keeping the head doctor (Christopher Amann) employed, and even backing him as Amann recently sued Punk and podcast host Colt Cabana for defamation. So, where does WWE go from here, aside from hiring a head trainer that doesn’t engage in psychological warfare with his charges? That’s the question that should be on the minds of every higher-up in the company, but especially, this should be weighing heavily on Paul Levesque, a.k.a. Triple H. By all accounts, NXT is his baby, and he has (rightfully so) received praise for his work with the onscreen product. That cuts both ways, however, and now Triple H is faced with the toughest part of his NXT savior era: He must act decisively and publicly in a way that benefits the up-and-coming roster of young talent. 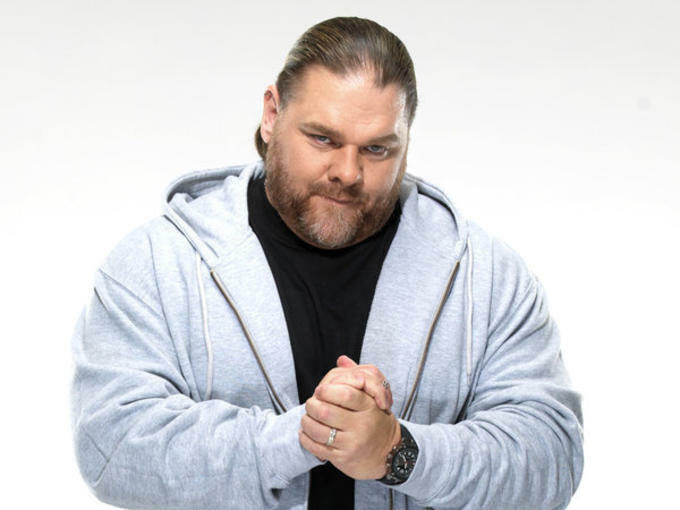 As a former wrestler, Triple H needs to show camaraderie with his hand-picked trainees, and institute policies that prevent another Bill DeMott from rising to power and then abusing that same power. Most of all, he must help change the culture of NXT to one of growth, not fear. Only then can NXT regain the luster that it has lost this week, when its darkest secret was chokeslammed into the public consciousness. Believe it or not, behind the scripted and “fake” nature of professional wrestling, there are very real people. These performers take huge risks, get hurt, and suffer injuries that last way beyond their time within the squared circle. They live and, tragically, often die for the right to entertain and for a shot at immortality. That’s why the actions of Bill DeMott were so despicable. It’s hard enough to be a professional wrestler, living off adrenaline and minimum wage. It becomes impossible when a man, just one man, makes it his mission to tell you that you’re not even worth that. So it is safe to celebrate that he is now gone, but the real change will come when WWE realizes their role in fostering DeMott’s attitudes. Only then can the passion of a young wrestler be rewarded, not stamped out.